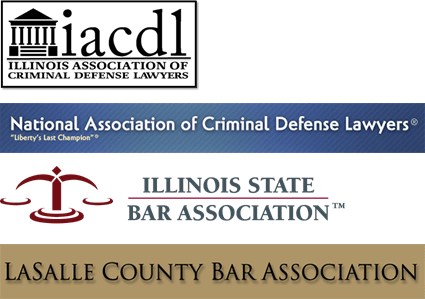 Grundy, La Salle and Morris Criminal Lawyer: Former Criminal Prosecutor Now DefendsFor 20 years, the Law Office of Michael Olewinski has been aggressively helping clients pursue their claims successfully in criminal court. Armed with experience as both a former prosecutor and defense attorney, attorney Michael Olewinski can handle all legal matters - including felonies and misdemeanors - that come before him. For 20 years, the Law Office of Michael Olewinski has been aggressively helping clients pursue their claims successfully in criminal court. Armed with experience as both a former prosecutor and defense attorney, attorney Michael Olewinski can handle all legal matters - including felonies and misdemeanors - that come before him. No case is too small or too big. Attorney Michael Olewinski will defend you and fight for your rights. Mr. Olewinski takes each and every case seriously, and he works personally with all of his clients from start to finish. Michael Olewinski takes the time and effort to get to listen to what you have to say and to understand your legal situation. He aims to assess the strengths and weaknesses of each case and to strategically develop a plan to best meet your goals and to get the best possible results. Mr. Olewinski offers his clients the skills and experiences he has had as a former prosecutor to build your case and defense by keeping in mind the prosecutor's strategy. Helping Clients With Their Criminal Defense for More Than 18 yearsLocated in downtown Morris, Illinois, the Law Office of Michael Olewinski is conveniently situated just a couple of blocks from the Grundy County Courthouse inside the Morris Building and Loan. Attorney Michael Olewinski offers great legal service, and he has successfully handled many criminal defense cases. With 20 years of experience, you can be confident that Mr. Olewinski will help you protect and defend your rights.